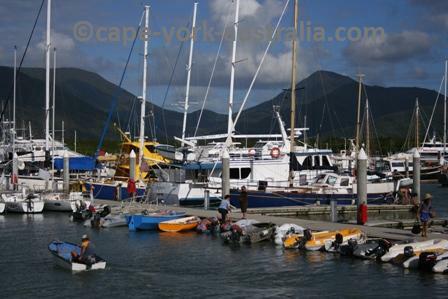 On this page you have all the Cairns travel information you need. 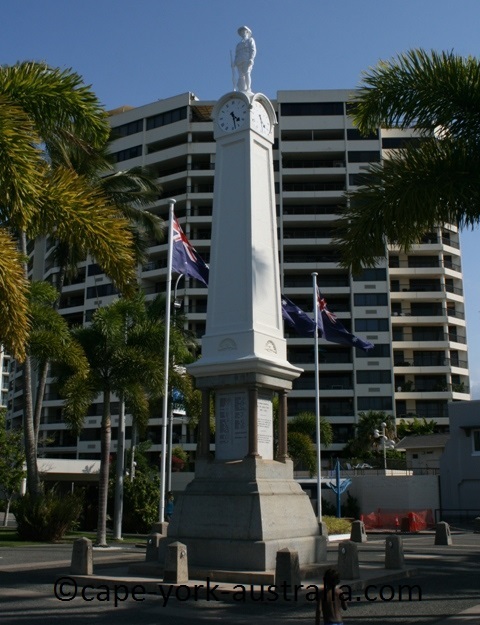 Cairns is the only real city in the Cape York area. 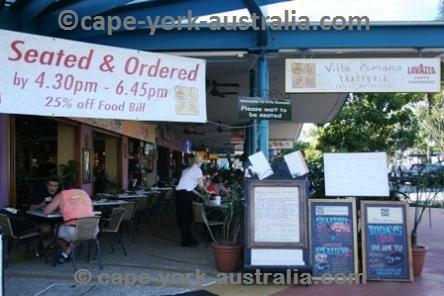 It is one of Australia's smallest cities, but the second largest (after Townsville) in north Queensland. 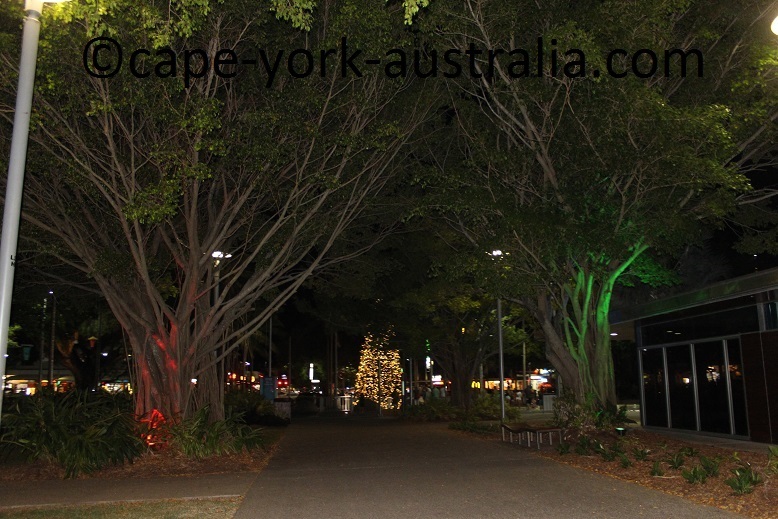 It is Australia's most tropical city, located in the only corner of Australia where there are tropical rainforests. The good thing about it is that it is surrounded by beautiful green rainforest-covered mountains, which give the city a very special tropical look. The not-so-good thing is that rainforests mean just that - it rains a fair bit in this part of Australia. But the rains are not that bad when the climate is hot. 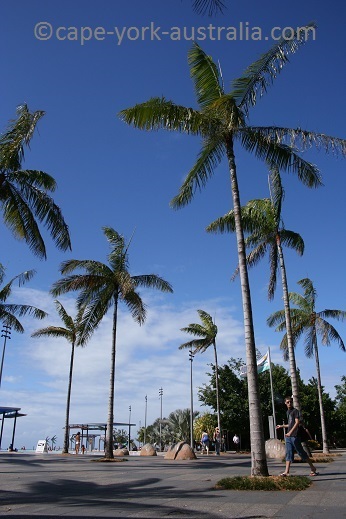 And there are many sunny days in Cairns too. 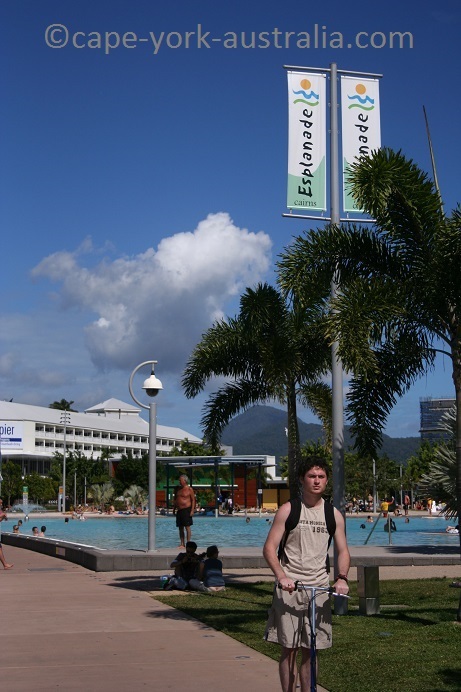 Cairns is a city that sees a lot of travellers. The city itself may not have a lot of museums, but it's a very enjoyable, colourful city, perfectly fine without them. And more than anything - there are many attractions outside it. Kuranda, Daintree Rainforests and Port Douglas are just a day trip away (even though they are worth more time than that). 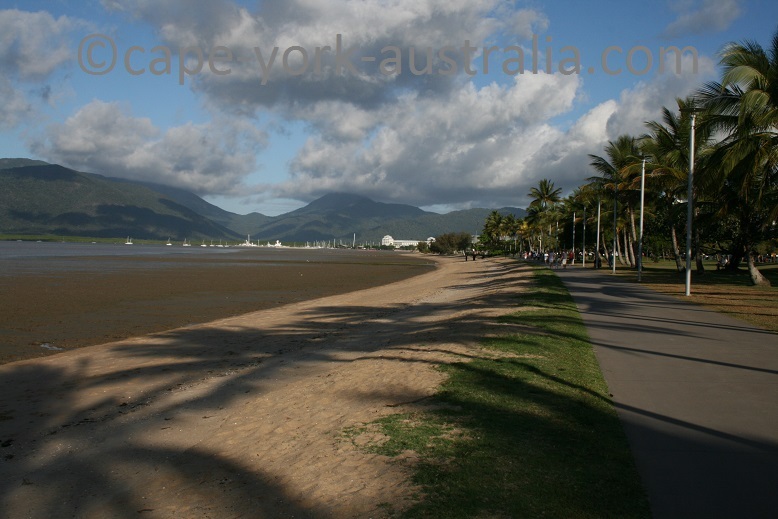 Cairns (along with Port Douglas) is the best place in Australia to take a trip to the world famous Great Barrier Reef. 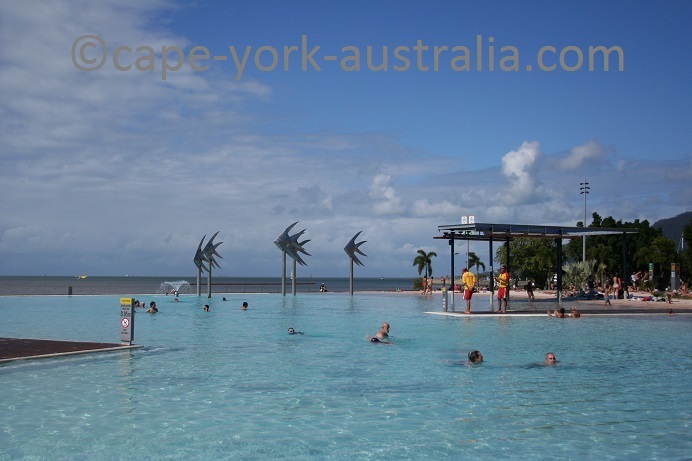 You are likely to come to Cairns on your way to Cape York whether you fly here from overseas or drive from elsewhere in Australia. It is a good place to stock up your supplies and whatever may be missing from your camping gear, before you head to the Cape. 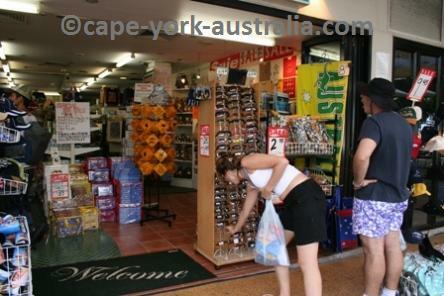 It may be a good idea to stay for a bit and enjoy some great shopping, restaurants and accommodation - because in Cape York, you have a lot of bush camping ahead. 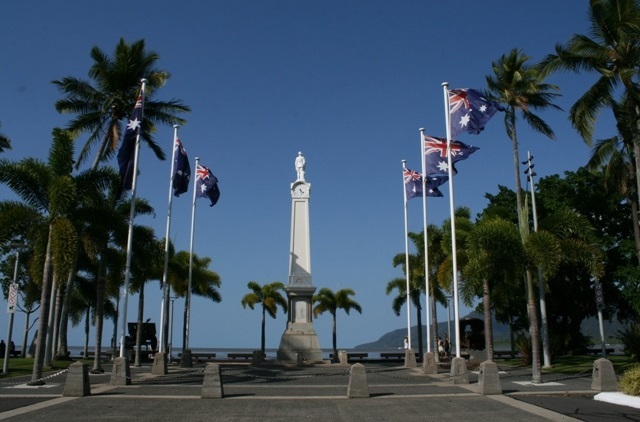 Some touristic things to see are Cairns Museum, Cairns Regional Gallery, The Reef Casino and Wildlife Dome, Tanks Art Centre, Botanical Gardens, and Cairns Tropical Zoo and Cairns Night Zoo. Cairns is known as Australia's adventure capital and there are a fair few activities such as skydiving, white water rafting and parasailing; and Cairns is the only place to do bungee jumping in Australia! 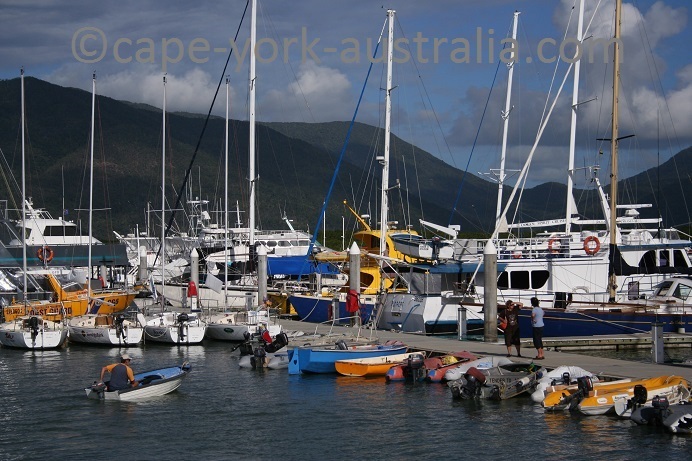 Other great Cairns activities are sailing, snorkelling and scuba diving. You can also go horse riding, join a fishing trip or a bike tour, or take a scenic helicopter flight or go hot air ballooning. 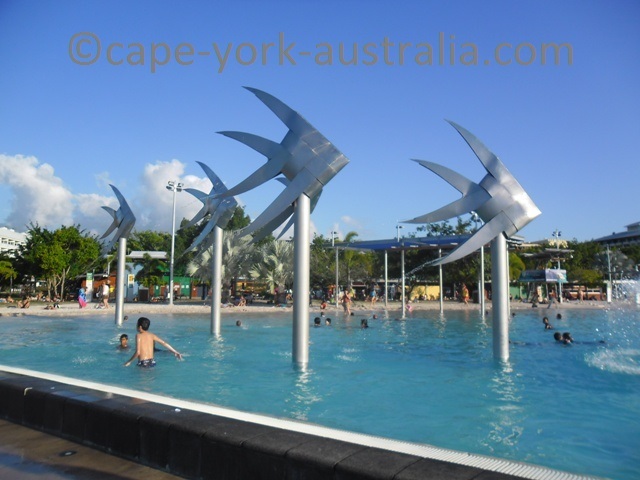 But there are also some FREE things to do in Cairns! There is some great fishing, swimming that is safe from crocodiles, and there are some lovely rainforest walking tracks and scenic drives. 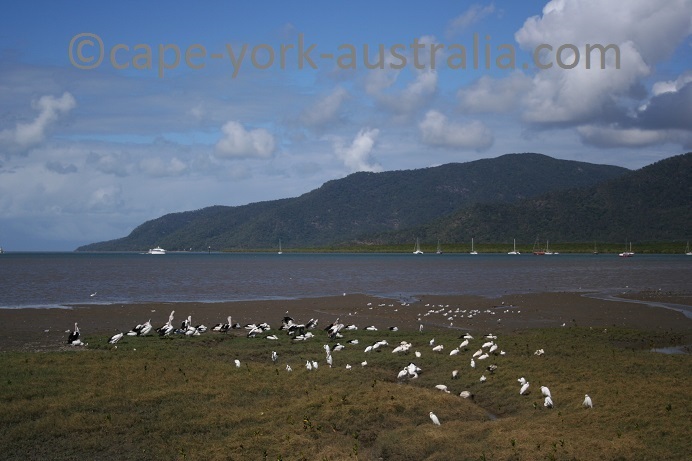 There are some great day trips to do from Cairns. 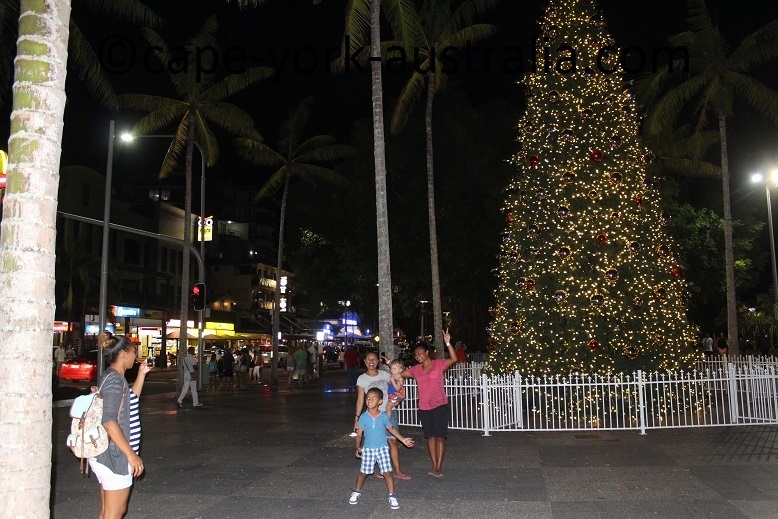 You can take day trips to Kuranda, Port Douglas, Mossman and Cape Tribulation, Great Barrier Reef, Atherton Tablelands and Cairns Outback. An easy way of doing it is on an organised tour where you are picked up from and delivered to your accommodation and the whole day is organised for you. There are all kinds of different tours available. 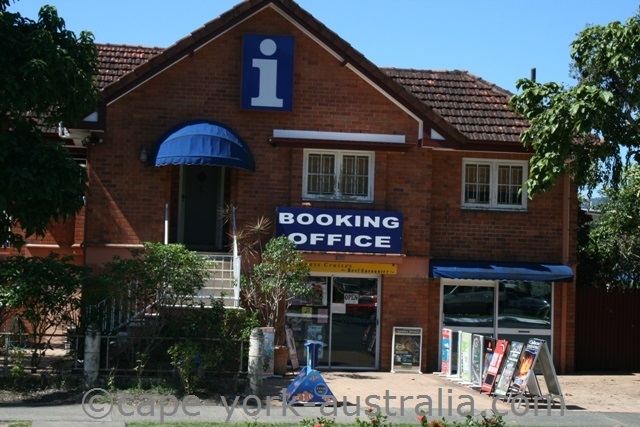 and There is a lot of different accommodation from backpacker hostels to caravan parks, B&B guesthouses, resorts and motels to five star hotelsholiday apartments. And it's not all expensive. 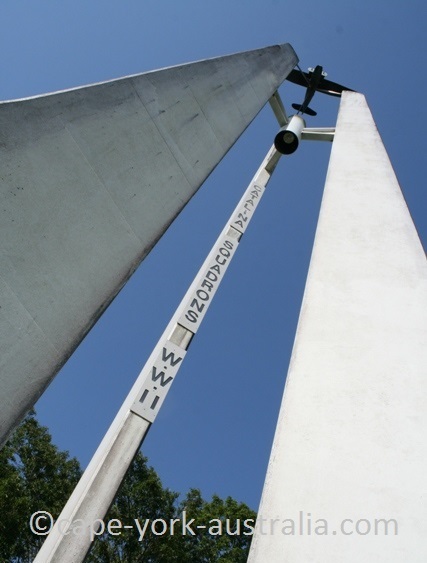 Cairns has got an international airport so from many destinations you can take direct flights. But many flights do stop in Sydney, Brisbane, or Darwin before you get here. In the large, southern cities public transport is the way to get around - parking is expensive and hard to find. In Cairns, the only public transport is buses, while getting around by a car is easy. 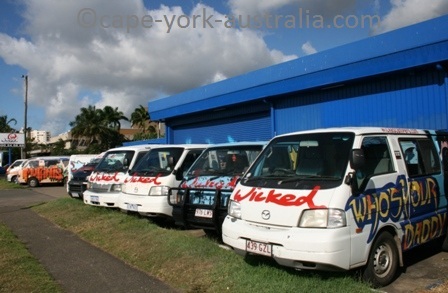 There are many places to rent different vehicles from cars, utes, 4WDs, and mini buses, to campervans and caravans - particularly handy if you want to do your own trips outside the town. Cairns shopping is great. The central streets are packed with shops that even stay open night time. 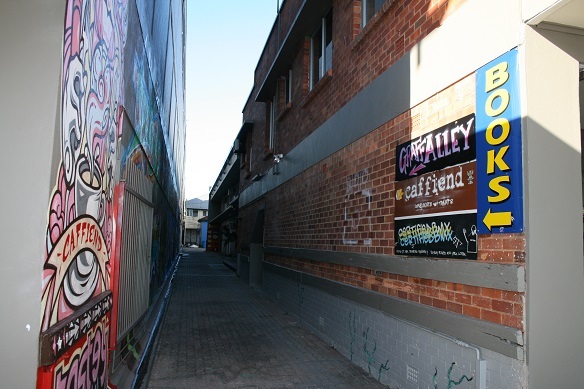 There are also a few good markets; and as you would expect some big shopping centres. 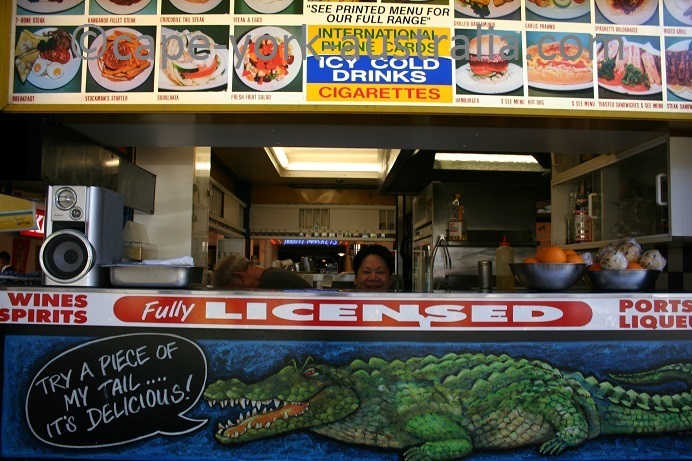 Cairns has got some excellent restaurants and you can eat anything from local seafood to beef, crocodile, kangaroo and emu. And of course, almost any international dish that you can imagine. There are many different events and festivals in this city. Two most known ones are Cairns Show in July and Cairns Festival in September. 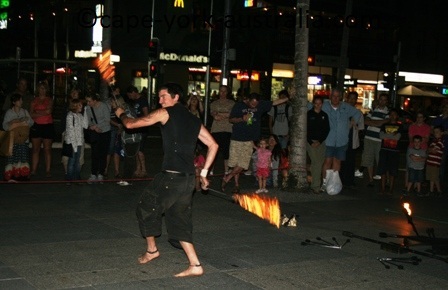 Like any city, Cairns has quite a lot of entertainment - from street musicians and acrobats to cinemas and theatres, as well as live music in the pubs, and some lively nightlife. 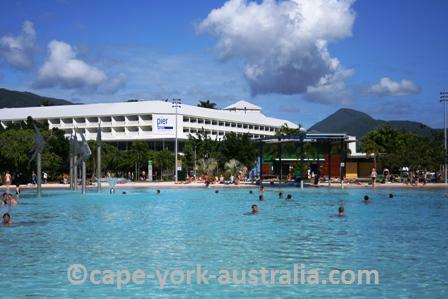 Here is where you can find more information about things to see and do in Cairns. There are many visitor centres in the city centre and all have helpful staff to answer your questions. Cairns is also a very photogenic city with lots of contrasting colours and good lights, often with dramatic, dark storm clouds in the background. Have a look at some photos. Below is a great Cairns map, and a Cairns Street Directory. It is handy to have one with you instead of running around the city trying to find one. There are many different maps available but there is nothing to beat HEMA. Below you have the summary of Cairns car rental. 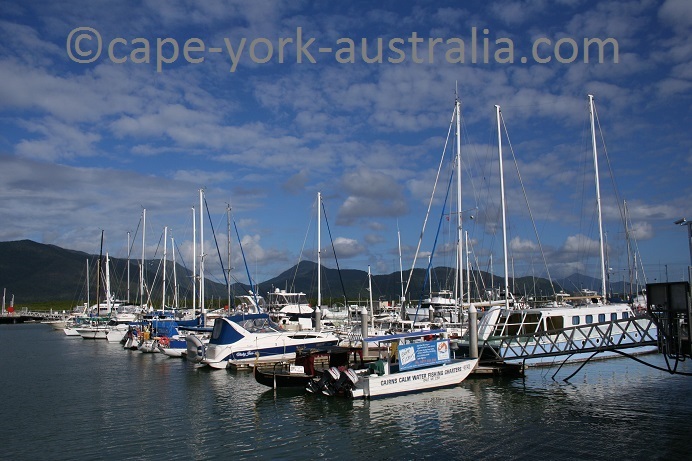 It does not get you to Cape York, but if you want a cheaper way than a 4WD to get around in Cairns, this is it. There are buses, and that's the only other option. So what choices do you have? 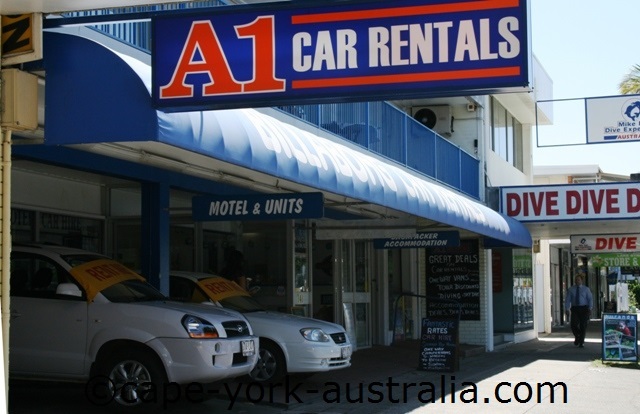 There are a fair few Cairns car rental companies, and since the scene changes constantly, don't expect me to be able to cover them all at all times. Further down the page is a search box where you can find the current ones. Budget, Avis, Britz and Thrifty are huge companies covering the whole Australia. Hertz and Europecar are world-wide as you probably know. Sargent is also found in Sydney, Melbourne, Perth and Brisbane. 1300 Meteor is a north Queensland one, also found in Townsville and Mackay. 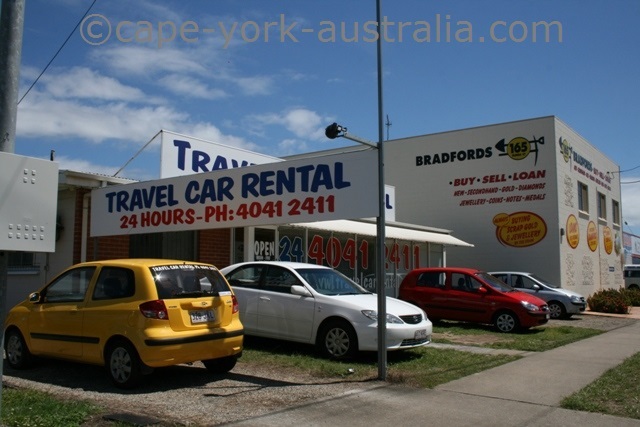 And then you have the local ones - Cruising Car Rentals, Sugarland Rentals, A1 Car Rentals, Crown Rentals, Travel Car Rental, All One Car Rental and the Cairns Older Car Rental - scattered around the town. One thing you probably want to consider, apart from the price, is the location of the rental company. The larger Cairns car rental companies are usually at the airport, which makes the pickup really handy if you are flying to Cairns. The smaller ones are mostly along Sheridan Street (which is the main road from the airport to the city centre), as well as in central Cairns. 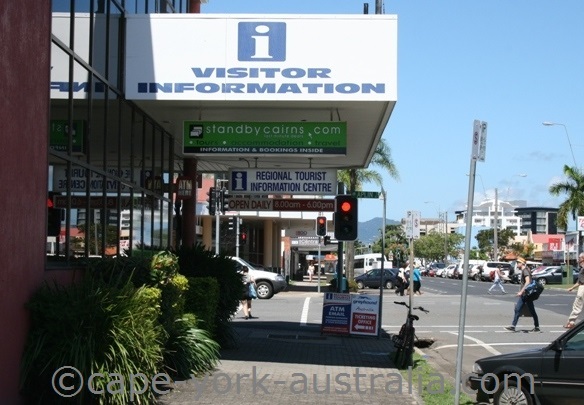 If you have a tourism related question about Cairns, below are some of the many tourist information centres that you find in Cairns. If you want to get your own map, here is my favourite one. I would never recommend anything but top quality things on my website. 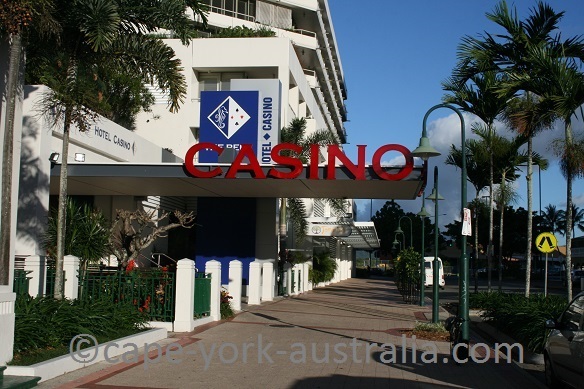 It has a street map as well as the areas around Cairns, which is great because there are a lot of things to do just outside the city. If you want even more, here is HEMA atlas and street map covering Cairns and the region. Both the map and the atlas are perfectly detailed; and if you buy any of them, they will be sent to you by Amazon and arrive only within a few days. Below are some Cairns photos taken by myself. If you want to use any, please contact me - I do have the large versions without watermarks.